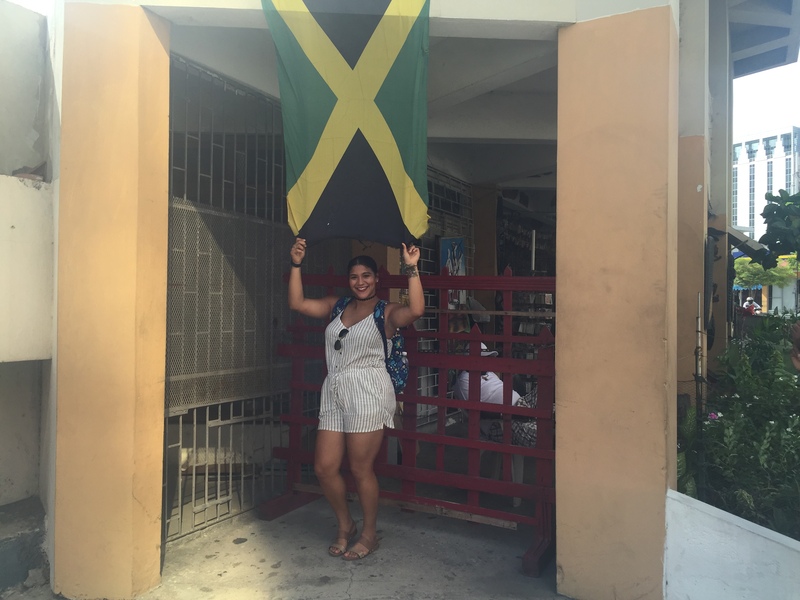 Study Abroad Blogs – Welcome to Jamrock! I have been in Jamaica for 2 weeks now and I am slowly falling in love! Although I have felt every feeling there is to feel in the last two weeks, I still love it here. My many feelings include happy, sad, joyful, excited and much more but for the most part happy. I say all these emotions because this trip is a roller coaster but one of the best roller coasters I ever been on. The heat is “no joke”, once you walk out you are sweating and I have like 1,000 mosquito bites. The only pro of the sun the sun is my banging tan. 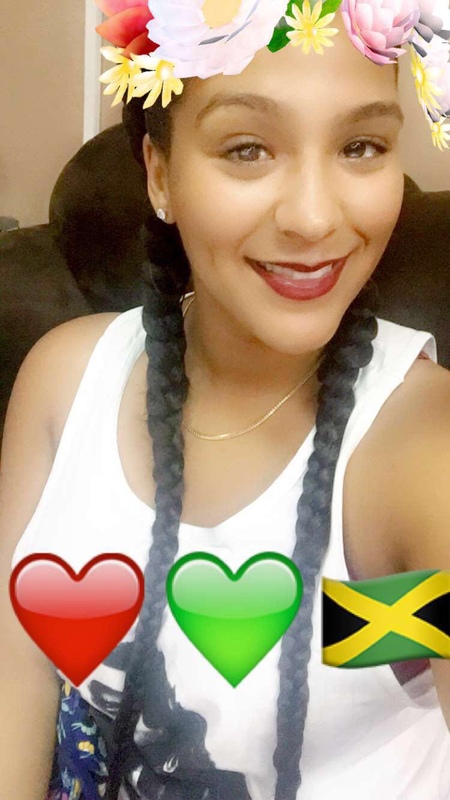 Anyways, what makes me super happy about Jamaica is the food, people the culture and the MUSIC! What is cool about this experience for me is, I know many Jamaican people at home so it doesn’t feel different to be around many Jamaicans. What feels different is to actually be in Jamaica. 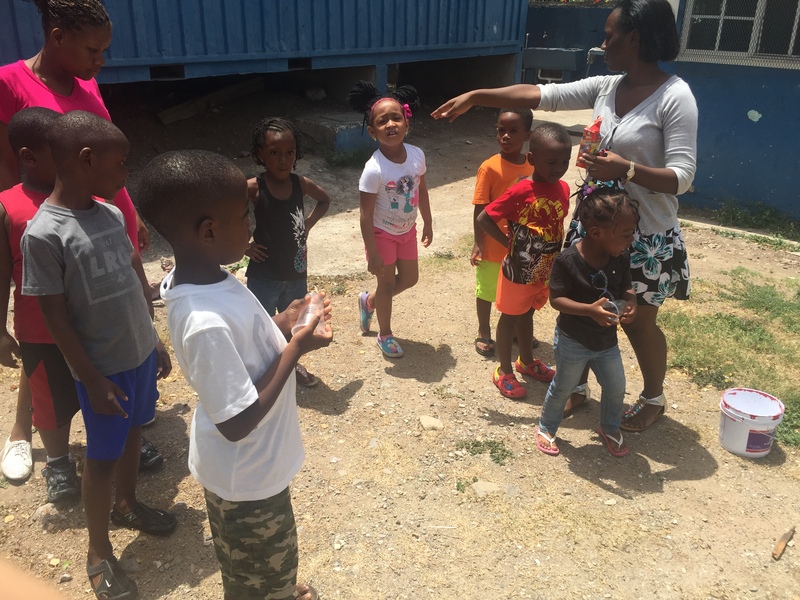 Hence the name of the program Jamaica Service Learning Program (JSLP)… we are working closely with the Kingston YMCA with the summer camp and with the Alpha Boys institute. Collectively as a group we all wrote a proposal to give to the YMCA so we can do a project of our own before we leave. Our aim is to leave the YMCA with something that will be long term! I will further explain that in my next blog post! 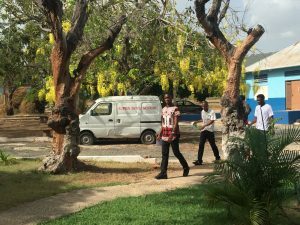 Many young boys here are at risk to many things here in Jamaica so these amazing institutions give young boys and girls and outlet. The YMCA provides summer camp activities and much more, there is a pool and activities throughout the year. 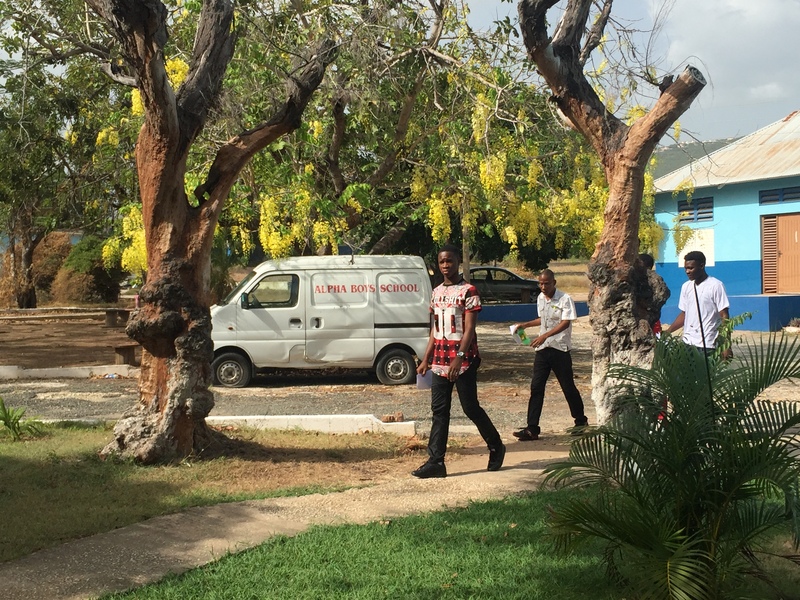 The Alpha Boys Institute is a Day school for young men which provides landscaping, woodwork, music and screen printing. Pretty Amazing, I must say! Please check out the websites for more cool details down below! Super cool stuff! One of the KINGSTON YMCA campers. He is an awesome kid who loves the pool and shares with all his friends! “Belly full?” is what he always asks his friends. Cutie! The Squad all collectively decided to get braids/plats so we can fully embrace the hairstyles we see around plus they are so cute. We spent one whole day at the salon getting our braids done. This was a new experience for some because we had to buy hair so it could be installed and look longer and thicker. It was a cool experience to do it altogether. I ended up leaving in the braids for about 5 days…I loved them but they got loose really quick. I love working with the Kingston YMCA Summer camp because the kids literally make me melt. They are so sweet and so smart. I got my first choice to work with the 5-6 year olds. What I’ve noticed in the week that I’ve been there is that resources are short but the staff and children make it work. The children all have so much innocence and are so well mannered. My favorite memory so far is watching the children share food when their food when their friends are hungry. After lunch they always ask each other “belly full?” I love watching them interact and make sure one another is okay. Whoever thought you can learn so much from children. I feel so privileged to be working with amazing children. My group playing the relay race water game! I loved watching them smile and play this game! Priceless! Sparrow was showing me his skills on the Piano. Being an Alpha boy as a child he learned how to play many instruments. At the Alpha Boys school we got a chance to be on the radio show “Ask Sparrow.” Wondering who is Sparrow? Check out this link Who is Sparrow? We had the chance to be on the radio show and asked Sparrow questions about himself, Jamaican culture, sound systems and the Alpha Boys School. That was a great time because Sparrow was full of great energy. FOOD TIME!!! !The food is delicious!!!! Jerk chicken, Jerk pork, Oxtails, rice and peas, Ackee and saltfish, festival (fried dumpling) and Pineapple soda. I love the food although some dishes may be really spicy and I need tons of “wata!” So “wata” is the actually brand of water bottles here. There is also a fast food franchise in Jamaica called Island Grill where you can get some of the delicious traditional foods. My favorite food from Jamaica is oxtail. When I got oxtail, I was beyond excited. I got it from a little to go restaurant on the side of the road where I also got fresh limeade. It was delicious. I will definitely miss that when I leave. 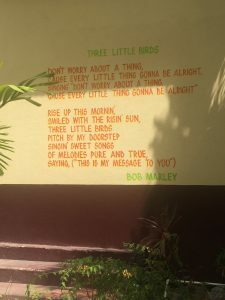 Two Little Bird Lyrics from Bob Marleys song at his House! This is Susan singing with me! She is so dope! 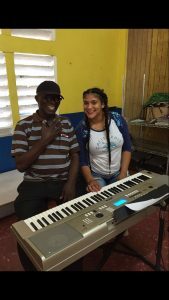 I am having such a positive experience with all the people I meet here in Jamaica. Today I was walking over to the Devon House ( A mansion owned by the first Jamaican Millionaire) to get patties and there was a man under a mango tree just eating mangoes and I say “Bless up and have a good day.” When I return he says “ I appreciate you and gave me a mango. It was delicious! I can’t forget the guineps, I bought a bushel of guineps for 100 dollars and ate them right away. I have learned that many Caribbean Islands have different words for guineps. 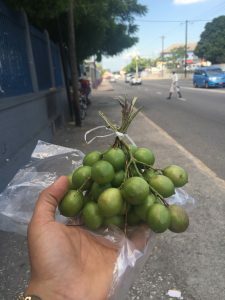 Puerto Ricans call them “ quenepas”, Dominicans can them “limonsioes”, Bajans call them “ackees” and Colombians call them”mamosillo.” Whatever the name I don’t care, they are the best! The guy who sells them already knows me! I can never forget to mention the amazing friends I have met on UWI campus. Shout out to Adrian, Garfield and Jermaine for being their for us! You guys take the time out of your day to talk to us, educate us on your culture, cook us food, give us recipes and let us meet all your amazing friends. I am so grateful! 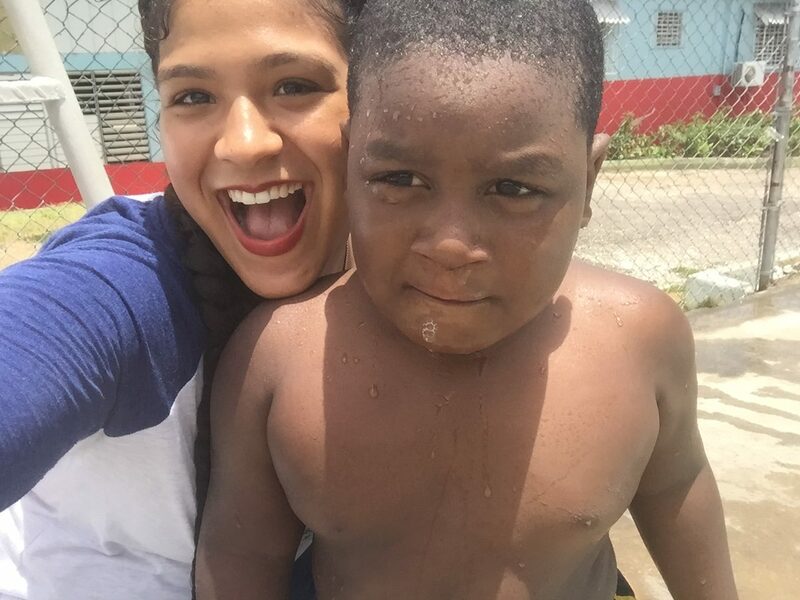 I am having an amazing time here in Jamaica. 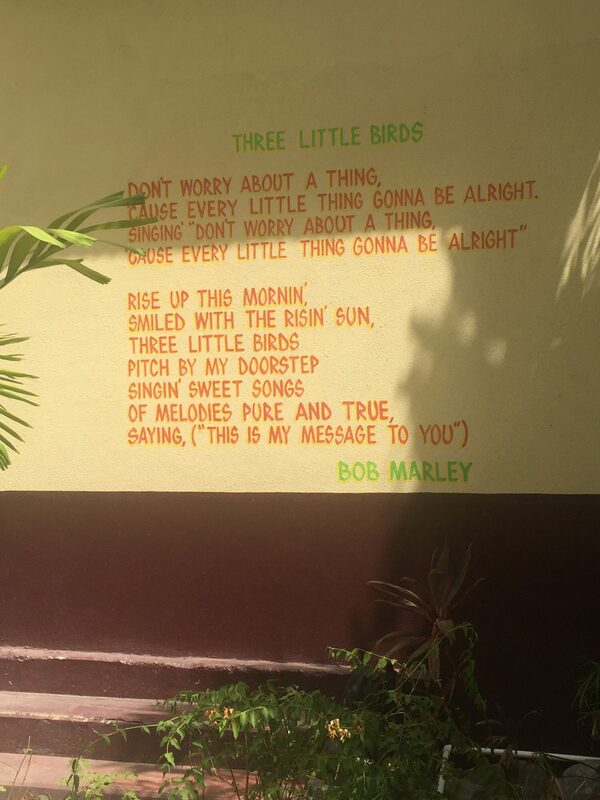 Irie and One Love! Below is one of my favorite songs right now!